Ed hanging with the ladies at Grounds for Sculpture in Hamilton, New Jersey. 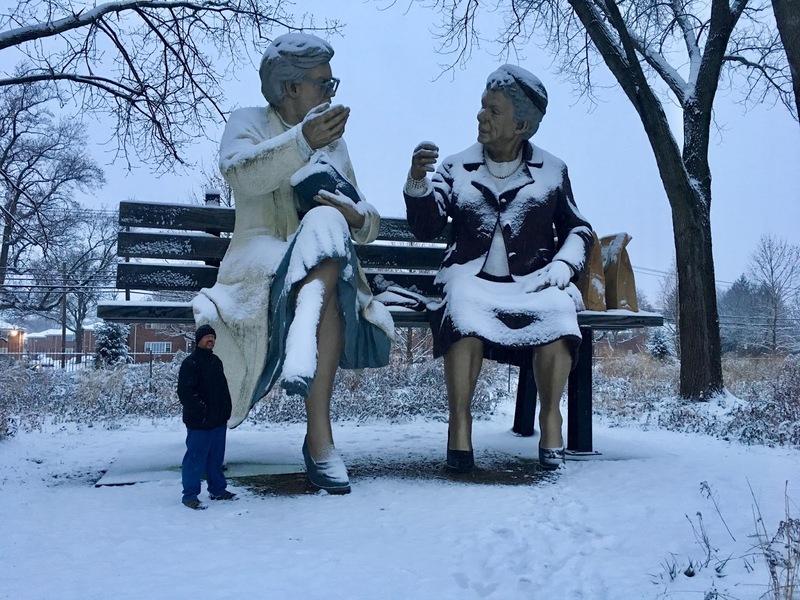 The story of John Seward Johnson Jr., the sculptor of the pieces found at this park and the heir to the Johnson & Johnson fortune, is an interesting one. And this facility showcasing over 160 of his larger-than-life bronze sculptures, is definitely worth visiting. We didn't get to see everything the day we went because a snowstorm was coming in and we arrived late so it eventually got too dark to explore, but we'll be going back for sure.